Early morning the driver will pick you up from the lobby of your hotel and transfer to the airport. 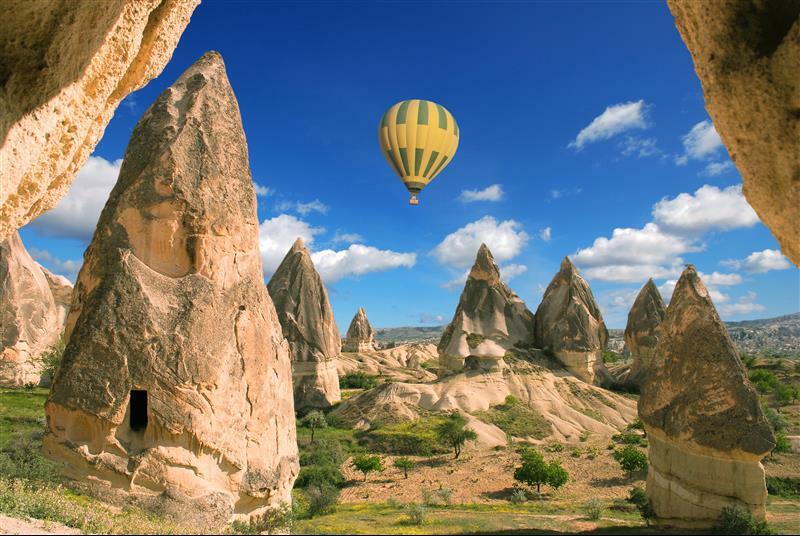 At the set time you will fly to Cappadocia . 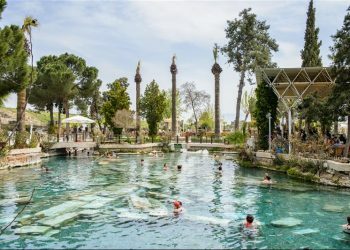 Upon arrival at arrival to the airport , there will be a represent to meet you and transfer to our office where you can start for the guided North Cappadocia tour. We will visit : Goreme Panorama, Uchisar Castle (Byzantium period), Pasabag Valley, Dervent Valley, Goreme Open Air Museum, Kizilirmak River, towns of Urgup and Avanos which is famous with red clay pottery where you can try your potting skills. 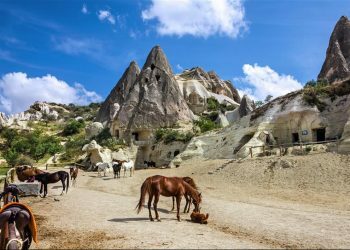 At the end of the tour, we will transfer you to the hotel for free evening in Goreme Town. This morning you have chance to enjoy with the Hot Air Balloon! After your breakfast at the hotel check out. 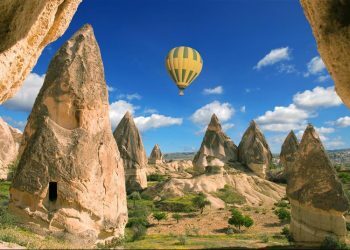 Our guide will pick up from the hotel to start for South Cappadocia tour. 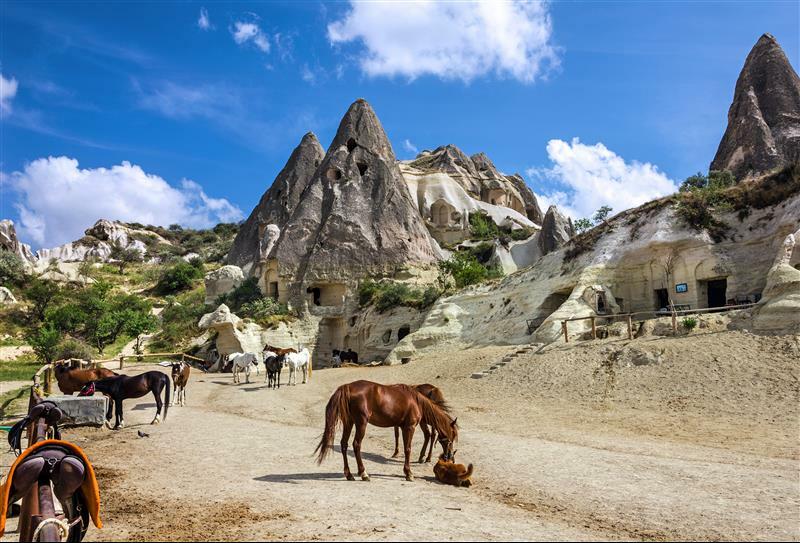 We will visit : Ortahisar Castle, Love Valley, hiking in Red Valley which gets it’s name from the rose-colored rock, Cavusin Village and Underground City. 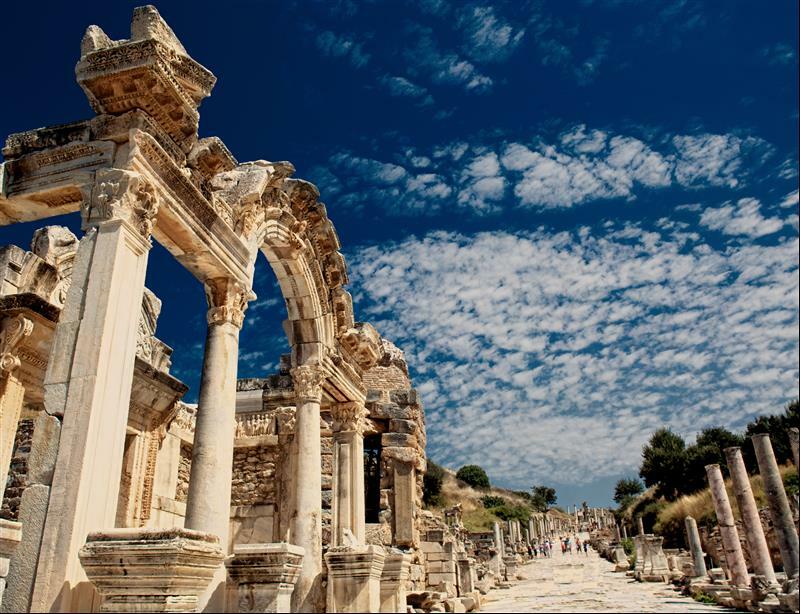 At the end of the tour you will be transferred to the airport for the flight to Izmir. Upon arrival at the airport, there will be a represent to meet you at the exit and transfer to the hotel in Kusadasi area. 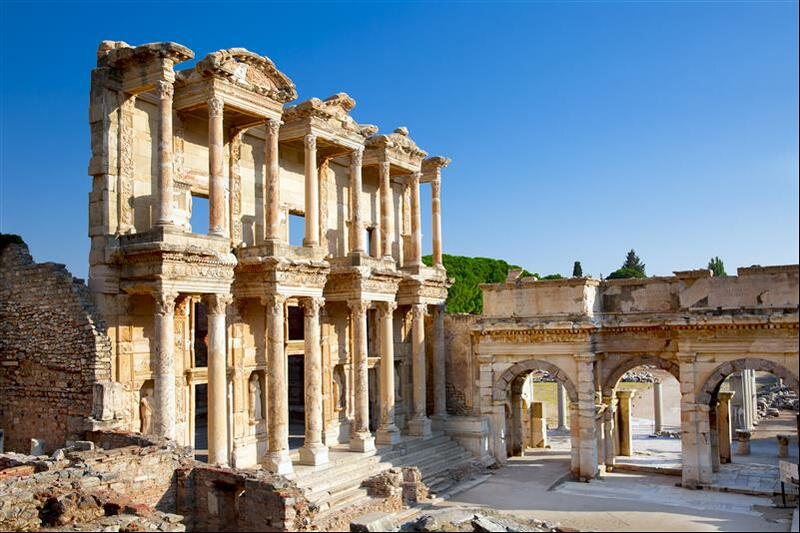 After breakfast at the hotel, we will pick you up from the hotel for full day Ephesus tour. 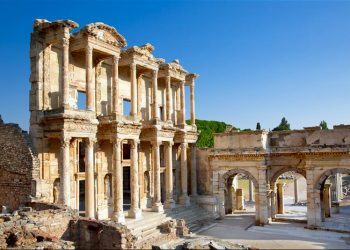 We will visit: Temple of Artemis (one of the 7 Ancient Wonders of the World), Ephesus Ancient City, House of the Virgin Mary and Isabey Mosque. 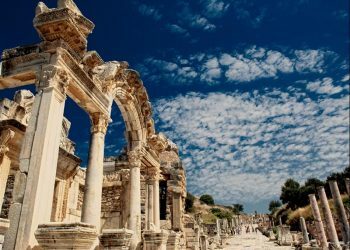 At the end of the tour and you will be transferred back to the hotel for free evening in Kusadasi. After breakfast at the hotel check out. 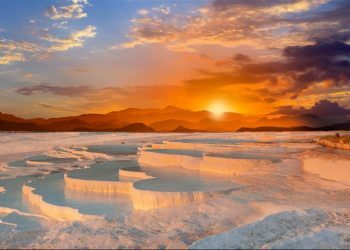 You will be picked up from your hotel for for full day Pamukkale and Hierapolis tour (2,5 hrs driving with stops and beautiful landscape). 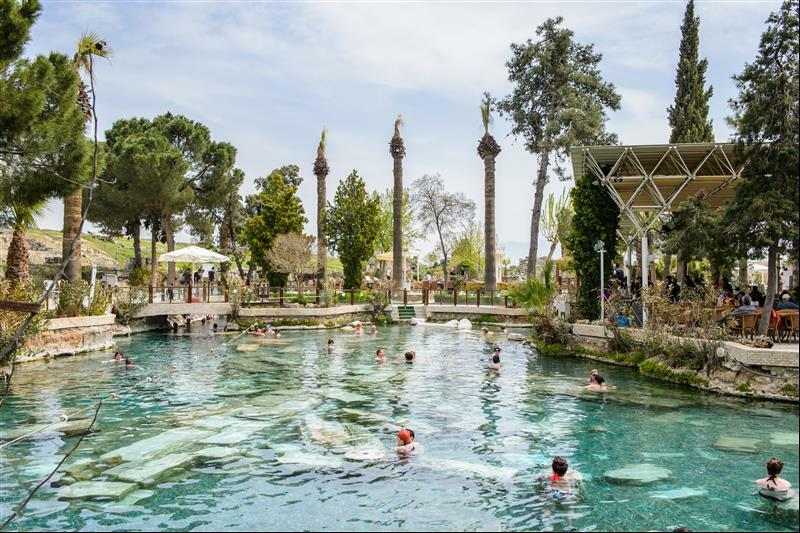 We will visit : Hierapolis Ancient City, Cleopatra’s Antique Pool and White Travertine Terraces with it’s beautiful panorama also you have chance to bathe in the Hot Springs ( White Travertines ) or Cleopatra Swimming Pool. At the end of the tour you will be transferred to the airport for your flight back to Istanbul. Upon arrival at the Istanbul airport, the driver will be waiting with your name on the board to transfer you to the hotel. All meals mentioned by the itinerary ( B – Breakfast, L – Lunch, D – Dinner) Vegetarian meals available. Items of a personal nature Medical services.